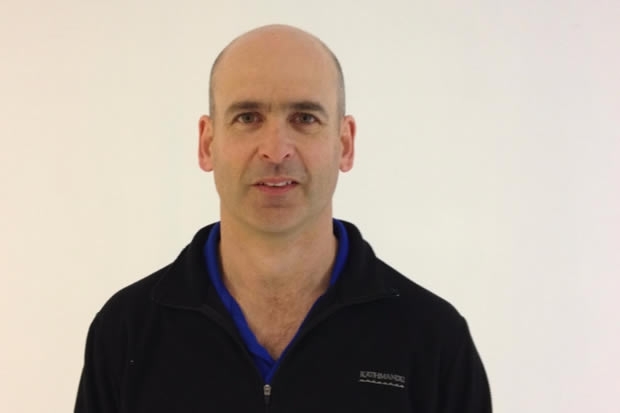 Doyle Sails New Zealand has further strengthened its development program with the appointment of David Le Pelley as Stratis Research & Development Manager. After working at the forefront of yacht research for many years, Le Pelley’s name will be deservedly familiar to many in the sailing industry (read our interview with him here). Having led the yacht research unit at the University of Auckland for the past 13 years, Le Pelley is also the founder of VSpars, the sail shape and performance tracking technology used by sailmakers around the world to test and refine their products. Following Le Pelley’s appointment, VSpars will continue to operate as normal, only will now be centred out of the Doyle Sails NZ loft. Use of the VSpars technology, together with Le Pelley’s extensive yachting knowledge, will assist Doyle in creating smart technologies that can be easily applied to sails to improve efficiency. Opportunities include the integration of the VSpars technology into Doyle-made sails to assist the development of the technology’s shape and performance tracking abilities to the benefit of Stratis. Having grown up in Guernsey, Le Pelley is a keen sailor and can be regularly found on the water with his family, spending lots of time cruising and competing in the SSANZ Two Handed Series. After completing a degree in yacht and small yacht craft design at Southampton University, his career has seen him work with a who’s who of leading race boats, including the America’s Cup and Volvo fleet. Le Pelley’s unrivalled expertise will prove invaluable to the continued evolution of Doyle’s Stratis range. As the Doyle group’s fibre-aligned laminated sail range, popular with yachts of all sizes, Stratis has forged a name for itself thanks to its reputation for performance and durability. Recent Stratis product developments include the launch of Stratis ICE, a unique new sail fibre, and Stratis Sail Art, a lightweight sail graphics printing solution. A strong beta-testing programme also sees several other new advancements under development.